A modern fit with a retro style! 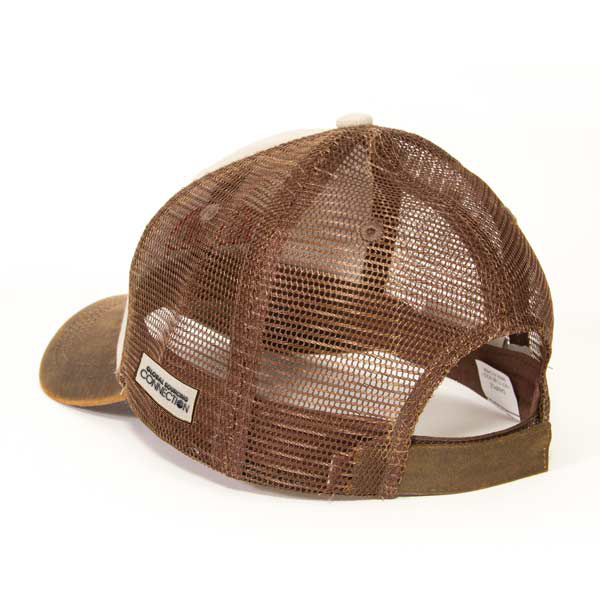 This cap features a khaki twill front, brown nylon mesh back, brown wax cloth bill, matching eyelets, khaki top button and Velcro® closure. 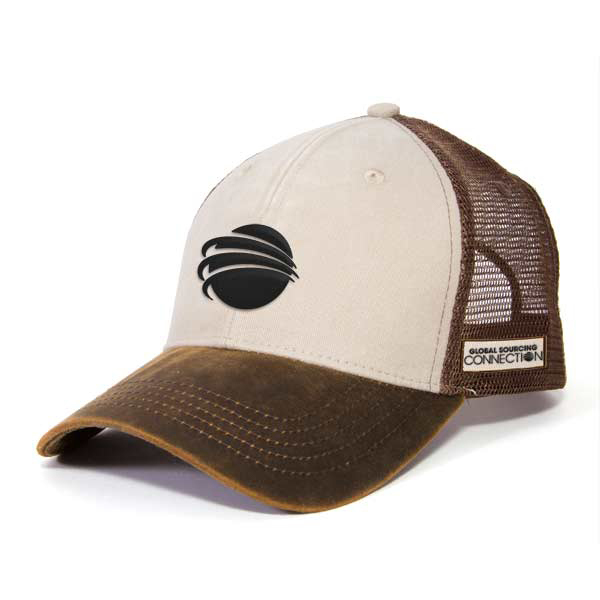 Along with an embroidered decoration on the front twill panels, our decoration capabilities include embroidered patches you can attach to the mesh side and back panels, making it even easier to express your brand.